Jesus did many remarkable miracles during his ministry. 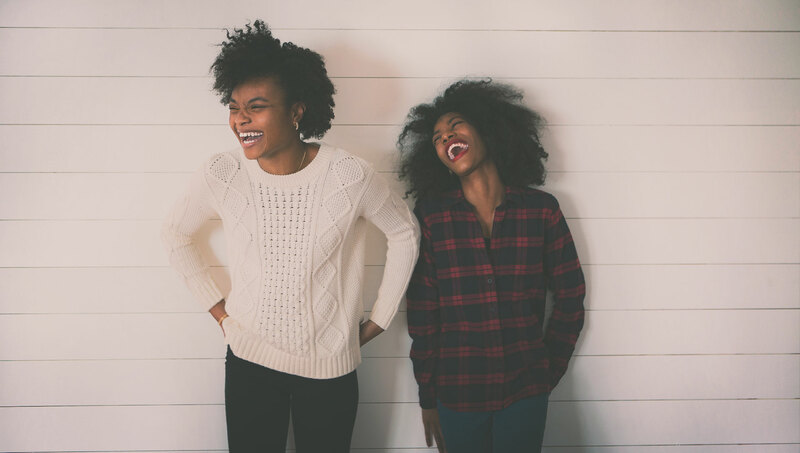 One of the most captivating is his healing of two women on the same day in Mark 5. When reading this passage with commentary, you gain so many insights that you wouldn’t know otherwise. So, we’ve included excerpts from the IVP Bible Background Commentary: New Testament, 2nd Edition. Enjoy reading this familiar passage with commentary on Mark 5. This passage includes two cases of reversing uncleanness: a woman with a continual flow of blood and a corpse (see Lev 15:19-33; Num 19:11-22). Even after the flow stopped, the first woman would be counted unclean for seven days (Lev 15:28); the dead girl was even more unclean, so that one who touched her contracted impurity for a week (Num 19:11). 21 And when Jesus had crossed again in the boat to the other side, a great crowd gathered about him, and he was beside the sea. 22 Then came one of the rulers of the synagogue, Jairus by name, and seeing him, he fell at his feet 23 and implored him earnestly, saying, “My little daughter is at the point of death. Come and lay your hands on her, so that she may be made well and live.” 24 And he went with him. And a great crowd followed him and thronged about him. The precise duties of “rulers of the *synagogue” probably varied somewhat from one place in the empire to another; sometimes the title designates simply benefactors, perhaps to honor them, but elsewhere they were the chief officials in synagogues (perhaps not unrelated to their social influence); virtually always they were prominent members of their communities. Jairus’s daughter had been a minor until that year and on account of both her age and her gender had little social status apart from her family. One would fall at the feet of someone of much greater status (like a king) or prostrate oneself before God; for this prominent man to humble himself in this way before Jesus was thus to recognize Jesus’ power in a serious way. This woman’s sickness was reckoned as if she had a menstrual period all month long; it made her continually unclean under the *law (Lev 15:25-28)—a social and religious problem on top of the physical one. Sometimes this condition starts after puberty; if that was true in her case, given a common ancient life expectancy of about forty years and the “twelve years” that she had been ill, she may have spent even half or all her adult life with this trouble. Since she could not bear children in this state, and Jewish men often divorced women who were incapable of bearing (cf., e.g., Pseudo-Philo, Biblical Antiquities 42:1), this woman probably had never married or (if the sickness began after marriage) had been divorced and remained single. In a society where single, celibate women could not easily earn much income, the illness affected virtually every area of her life. Although some remedies were genuinely empirically based, many practices of both Jewish and Gentile physicians in biblical times were no more than superstitious remedies, which not surprisingly often proved ineffective (cf. 2 Chron 16:12; Tobit 2:10; *Qumran Genesis Apocryphon 20:19-20). Although many physicians in the Greek world were slaves, Palestinian Jewish sources suggest that physicians in Palestine had ample incomes. Some Palestinian Jews were skeptical of physicians’ value. 27 She had heard the reports about Jesus and came up behind him in the crowd and touched his garment. 28 For she said, “If I touch even his garments, I will be made well.” 29 And immediately the flow of blood dried up, and she felt in her body that she was healed of her disease. If this woman touched anyone or anyone’s clothes, she rendered that person ceremonially unclean for the rest of the day (cf. Lev 15:26-27). Some uncleanness was unavoidable, but it was inconvenient to fulfill the required bath, and men avoided uncleanness when they could. Because she rendered unclean anyone she touched, she should not have even been in this heavy crowd. Later Jewish tradition made this danger even more serious than Leviticus had (e.g., Mishnah Toharot 5:8), so many teachers avoided touching women (other than their wives) altogether, lest they become accidentally contaminated. Thus she could not touch or be touched, was probably now divorced or had never married, and was marginal to Jewish society. 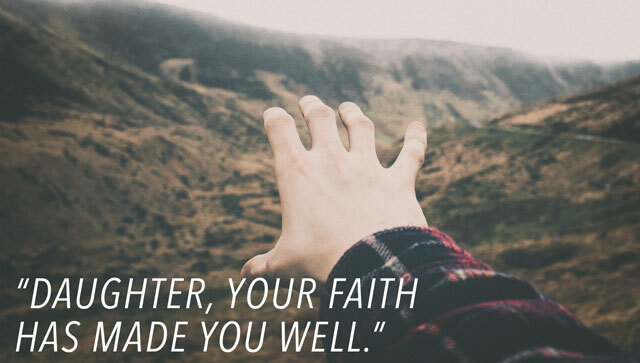 Given the frequent failure of the male *disciples’ faith (8:17-21; 9:19), Mark’s record of this woman’s faith (cf. 7:29; 12:44; 15:40-41) is all the more striking, especially for readers whose culture considered women less stable and emotionally weaker than men. Childhood deaths were common (in Egypt, which was poorer, perhaps half the children born did not survive into adulthood). Tradition expected at least two or three professional mourners (two flutists and a mourning woman) to facilitate grief at the funeral of even the poorest person; more mourners would assemble at the death of a member of a prominent family like this one. Because bodies decomposed rapidly in Palestine, mourners had to be assembled immediately upon someone’s death (presumably especially when it had been expected), and in this case they had gathered before word even reached Jairus that his daughter had died. Messengers were normally dispatched immediately to bring a parent or spouse the sad news. 40 And they laughed at him. But he put them all outside and took the child’s father and mother and those who were with him and went in where the child was. 41 Taking her by the hand he said to her, “Talitha cumi,” which means, “Little girl, I say to you, arise.” 42 And immediately the girl got up and began walking (for she was twelve years of age), and they were immediately overcome with amazement. 43 And he strictly charged them that no one should know this, and told them to give her something to eat. In that culture, at the age of twelve the girl was a virgin probably soon to be married (with very rare exceptions, women were not able to continue in education as they do today). Young girls usually looked forward eagerly to their wedding day as the most joyous event in their life, and to die unmarried—especially just short of it—was lamented as a particularly great tragedy. 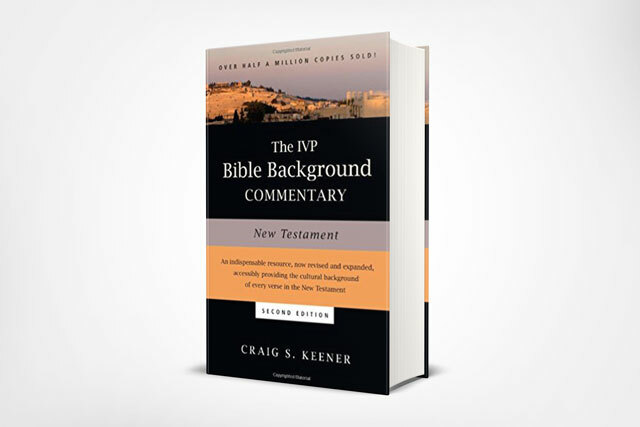 Craig Keener recently updated his IVP Bible Background Commentary on the New Testament. He is one of the leading New Testament scholars on Jewish, Greek, and Roman culture. 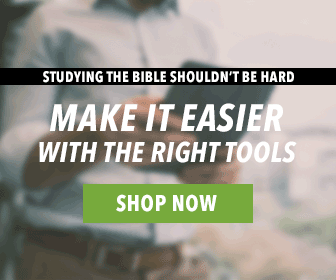 This unique commentary provides crucial cultural background you need for richer Bible study. One of the best parts is the glossary of cultural terms and historical figures. Additionally, you’ll find plenty of maps, charts, bibliographies, and introductory essays. Visit our website to learn more about the IVP Bible Background Commentary: New Testament, 2nd Edition.